One of the first consumer genetic testing companies, 23andMe says it aims to be at the forefront in gathering genetically diverse data throughout the world. The company just launched a standalone $99 ancestry service today as a way to offer those interested in their genetic lineage the ability to trace ancestors and relatives just by spitting into a tube. 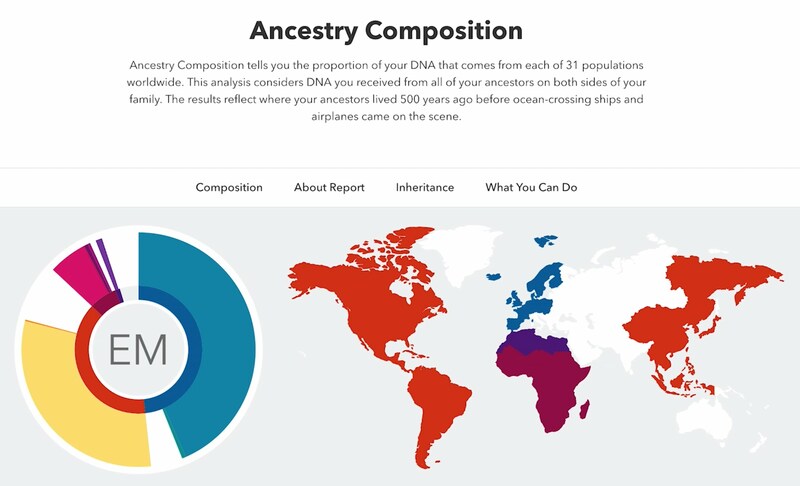 Ancestral DNA is something founder Anne Wojcicki says is very popular on the platform and is a good introduction to genetics in general. And, adds Wojcicki, the market for this product is global because everyone in the world potentially wants to know about where they come from. However, the company’s ancestry reports have been roundly criticized for a lack of good genetic data for diverse populations around the world. Euny Hong wrote a review at Quartz in which she discovered her genetic information came from a mere 76 Koreans, for example. 23andMe says it is making an effort to get more people of color on the platform with the launch of several programs. In 2012 the company introduced a project called Roots into the Future to gather genetic information from African American populations. This spring it worked with Roots, the miniseries to make a further push to gather the data. 23andMe also helped fund the Human Genome Diversity Project and says it currently has two projects underway in Africa to increase the diversity of its ancestry composition data, as well. But the burden shouldn’t sit squarely on 23andMe. In fact, much of the sampling used in genetic identification has been from European populations 96 percent of the time, according to a report from the National Center for Biotechnology Information. And there are repercussions to smaller genetic samples, not just in trying to convince an increasingly diverse population to buy your product worldwide, but in health research in general. A larger sample yields a much better chance of discovering genetic markers for diseases and in getting the research right. 23andMe pointed out in a blog post titled “The Real Issue: Diversity in Genetics Research” a heart disease study that, due to biased research, concluded African Americans were more likely than whites to carry a mutation putting them at risk for the heart condition known as hypertrophic cardiomyopathy, when they actually are not more likely to have the mutation. Proper genetic research could weed out these biases, but we need a broader scope of data from more and diverse populations to get there. 23andMe says it conducts its own research for much of the data it currently provides but the company will need participation from the general public to take the next step. A good example of what 23andMe hopes to see more of is a recently announced Nevada genetic population study. The Nevada government took it upon itself to offer thousands of its citizens a free test that will examine health, population, genetic and environmental data through the Renown Health Foundation and Nevada’s Knowledge Fund. Of course, Nevada is largely white and Hispanic. But Wojcicki has high hopes others will join in to help close the gap. “There’s an amazing opportunity out there by leveraging the power of some of these big groups to bring together all these individuals and their medical records and create a community that is really going to transform individualized medicine and personalized medicine and be a research powerhouse,” she told TechCrunch. For those interested in contributing a bit of their DNA in exchange for ancestral information you can go here to order your kit. The ancestry product was initially part of the overall package offered to customers, which also includes health data. Customers will now have the option of choosing just the ancestry package or the health and ancestry combination.